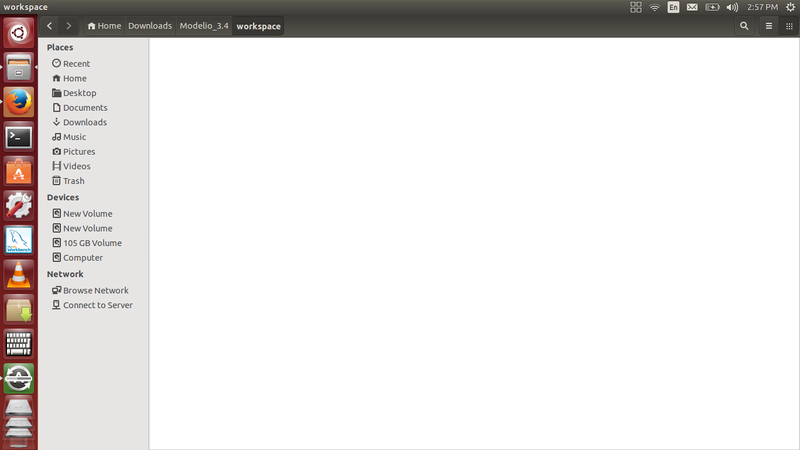 The workspace directory show empty , so the i am not able to find log file. I think the .log file is not shown in your explorer because it is a hidden file. 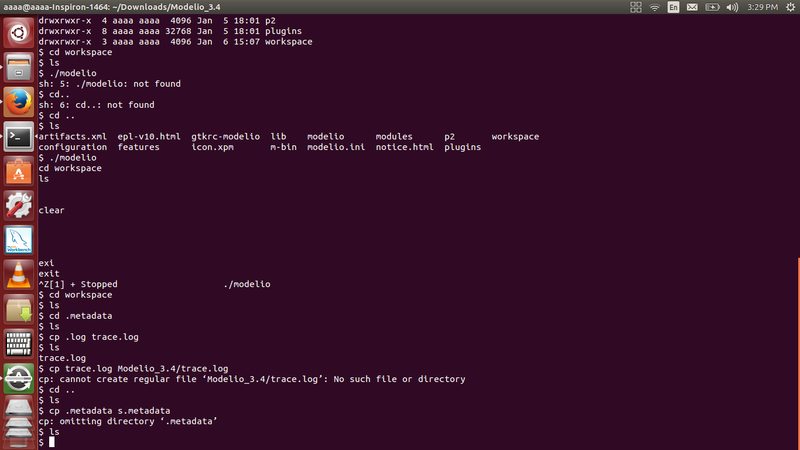 In the shell command, go the workspace directory and type ls -al. If you see the .log file then rename it to trace.log and send it to us. 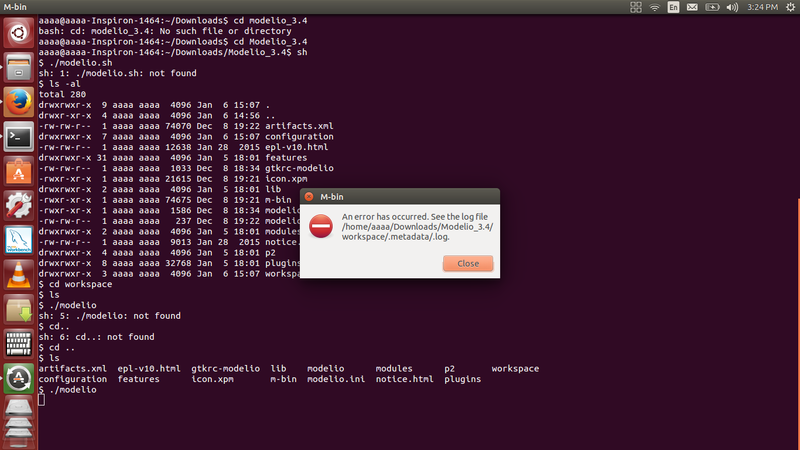 Always in the shell, try to execute modelio directly from it. 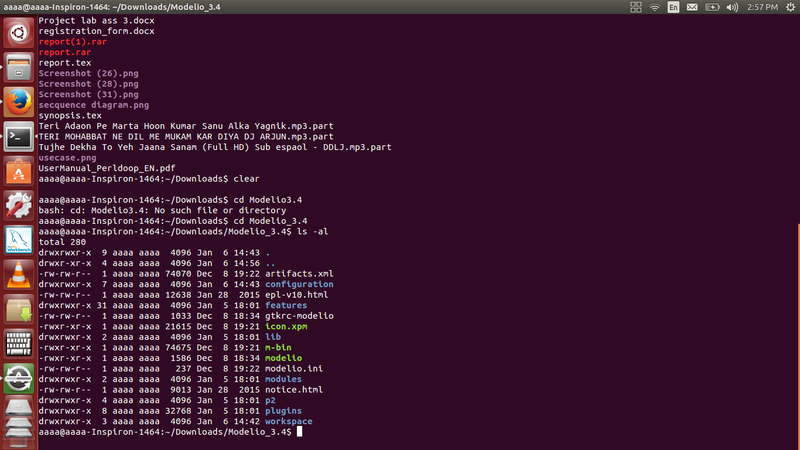 So go to the installation directory and type "./modelio" and tell us what is the result. 2. The shell command prompt show same error. I think you don't have the jre 8 on your machine. In the shell command, type "java -version"
If you don't have java 8 you must install it. Then verify the java version again. If it returns java version "1.8.0_xx" it should be OK.
From your screenshots, it seems that you succeeded to rename the .log to trace.log. 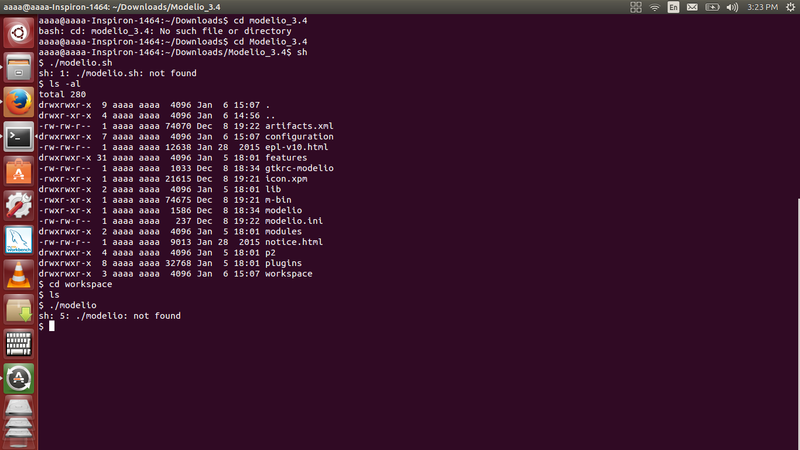 Once it is done copy to another directory (for example /tmp) and send it to us. So the Java 8 was missing?